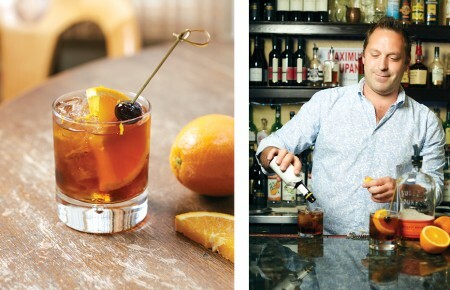 A former farmer incorporates his past into his cocktails. 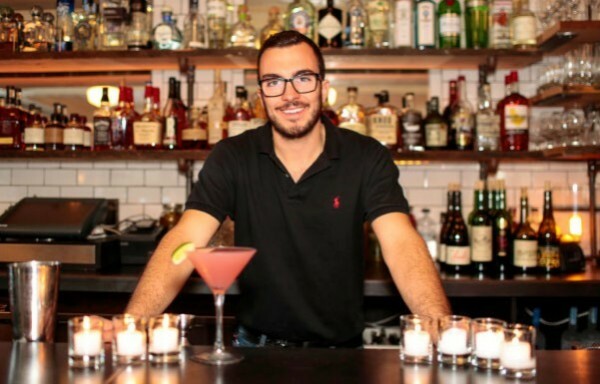 Long Island Pulse: How did you start bartending? Steve Roux: It stemmed from an interest in sustainability. My father was affected by Agent Orange in Vietnam and eventually passed from it—we know Monsanto was one of the manufacturers. My mother was also a big gardener so I started paying attention to where my food came from and worked at organic farms. I bartended a bit in the West Village while volunteering at Battery Urban Farm, then I took a hiatus in East Hampton working at Good Water Farms. We grew organic micro greens and I was delivering pea tendrils to Almond and met the owners. They needed a bartender and I loved their dedication to farm-to-table. It was a natural fit. Pulse: How does farm-to-table tie into your bartending? SR: I just used shiso that I grew at home for a drink called I Think I’m Turning Japanese. It has Hendrick’s Gin, house-made and locally-sourced lemon balm syrup, my shiso leaves and fresh ginger. It has an awesome pinkish-purple color. We also source a lot of herbs from Balsam Farms in Amagansett; if we run out, I’ll run to Eric’s house [Lemonides, co-owner] during a shift to pick mint from his garden. They care here. Most of the farmers we source from come here to eat and drink. Marilee Foster will have a Lagavulin neat with me at the bar after digging up potatoes for us earlier that day. I dig that. Pulse: What can you make us in October? SR: The Ancho Manhattan is one of my favorites. We recently bottled it for convenience because it was popular, along with our other six cocktails. They’re easier to serve when it gets crowded. We infuse Michter’s Rye with apricots, which smooths it out since the rye can be harsh. We also added a vermouth from Channing Daughters and Ancho Reyes—this dark brown liqueur that has nice chili notes but also undertones of Mexican chocolate. It’s a spicy Manhattan. Perfect for the changing weather. SR: I’m always digging our Negroni with Barr Hill. This is a gin distilled with raw honey. The process tones down the floral notes without adding sweetness. I also love making hot toddies when it gets cooler. We have an awesome hand-packaged Earl Grey tea from Plain-T in Southampton. 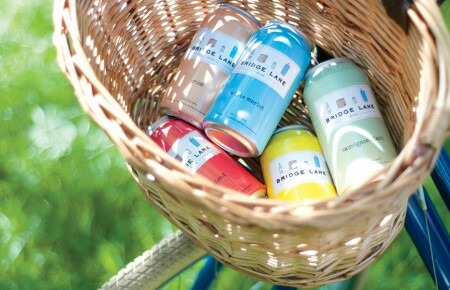 Almond is located at 1 Ocean Rd in Bridgehampton.